All killer, no filler. This has clearly been Dekmantel's selling point since its inception. The guarantee of a carefully crafted line-up and the dedication of the organisers have, over the years, created a huge following of what is now one of the biggest electronic music festivals anywhere. Spanning five days, with two days of concerts, talks, and screenings followed by three days and nights of the festival proper, Dekmantel 2018's packed line-up is full of surprises and will force festivalgoers to make some hard choices. An interesting particularity of Dekmantel, especially in comparison to other Dutch festivals, is that every scene and stage of the festival has a life of its own, becoming a small festival within the festival. As last year, Wednesday will be dedicated to live performances by music pioneers Tangerine Dream and Four Tet. Thursday’s opening concerts, which take place in a few venues around Amsterdam’s city centre, now offer film screenings in the Eye Film Museum on top of the panels and live performances. The evening will feature a rare opportunity to see 70s Zambian band W.I.T.C.H. (We Intend To Cause Havoc) perform live, and we hope the band lives up to its name. From Friday, the main stage offers a multitude of live performances, which suggests a much bigger space that can now accommodate bands such as Mount Kimbie and Carl Craig Synthesizer Ensemble. Considering the quality of the visuals on this stage over the past few years, one can expect some stunning audio/visual live performances; in fact, one could easily spend three days on the main stage, coming early for Or:la, Shanti Celeste, Steffi, and Powder, and staying until the end for Orbital, Four Tet and Helena Hauff. 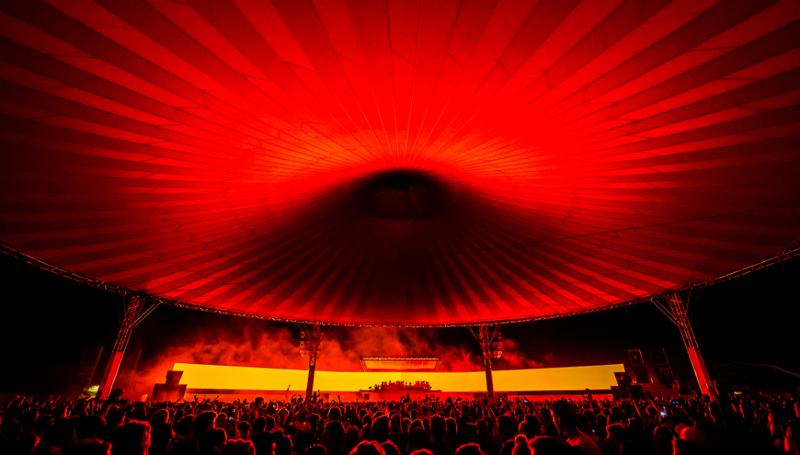 The greenhouse is perhaps Dekmantel’s most iconic stage. Every year it offers an eclectic selection of performances, with a huge influence from the British scene. With a live performance of The Bug on Sunday, it is clear that the organisers are willing to take more risks and push the stage’s free spirit vibe even further. However, it’s hard to imagine that the performance will go smoothly. The Bug plays loud, far too loud; so loud that one can worry about his live set’s environmental impact. So loud that you will feel it in your bones. Arm yourself with the best earplugs and come as much for the music as for the production nightmare. Techno heads will be satisfied by the expansion of the festival, which this year features two techno stages instead of one. The first, UFO, is dedicated to the kind of hard upbeat techno that you would expect in Berlin. Be ready for killer tracks by the usual suspects: Rødhåd, DJ Nobu, Objekt, DVS1 but also Clark. The second, UFO II, will be more experimental and offer a wider range of styles. Come early for the sets of Phuong-Dan, Elena Colombi, Job Sifre and Identified Patient. Pushing further last year’s concept, the Selectors stage will again feature extended sets of two and three hours, leaving DJs such as Lena Willikens, Gilb’R & Max Abysmal, and Daphni enough time to showcase their craft. Right next to Selectors, Boiler Room will shine a light on some of the best talents in the electronic music scene. You'll get a chance to see Karen Gwyer's impressive live set on Friday, dance to the tunes of Amsterdam’s rising star Carista on Saturday, and end the festival with a promising back-to-back session of Special Request and Courtesy. Dekmantel takes place in and around Amsterdam from 1-5 August. For more information about the lineup, timetable, and venues, and to buy tickets, please visit the festival's official website.